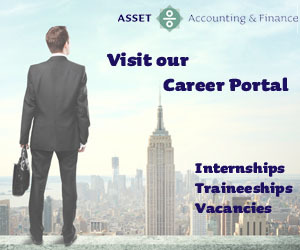 After having finished either the Master in Accountancy or the Master in Finance, becoming partner at one of the Big Four is one of the possible career paths. Is being partner at a Big Four something for you, and what does it mean to be a partner at a large accounting firm? To answer these questions we spoke with Bart van Loon, partner at KPMG. Could you tell something about yourself and your career? My name is Bart van Loon, partner at KPMG and I have been working at KPMG for quite some time now. First, I studied HEAO business administration in Utrecht. Subsequently, I did an internship at KPMG, where I experienced that it is a great place to get insight into the profession, which I thought was very interesting. In that time we wanted to work hard with the team to make a deadline and to deliver a good result. To me, this was a really comfortable working atmosphere. Consequently, I started working at KPMG after my internship, and simultaneously I continued studying at the University of Amsterdam and the Nyenrode Business University, where I completed my Master’s and Post-master’s program. Now I have been working with KPMG for 25 years and I still think KPMG is the greatest university in the world. You face new challenges on a daily basis and you can still learn every day. If the day would come on which I am not learning new things, I would search for a new position where I can continue learning. Without doubt, I would never want to fall into some kind of pattern. I extend this thought to my career: I want to face new challenges continuously. In the first year I learned something new, the second year I thought “I’ve already done this” and the third year I was searching for a new challenge again. KPMG kept providing these new challenges to me. From KPMG Audit in the Netherlands I moved to KPMG Audit in Aruba. From KPMG Aruba I later moved to KPMG Forensic in the Netherlands again and afterwards I switched to KPMG Internal Audit and Risk. Therefore I have seen a lot and I have been working in a tremendous amount of places within KPMG. Starting as a consultant, I eventually grew into a partnership within KPMG. My current position entails partner within KPMG Advisory and responsible for the unit Internal Audit, Risk and Compliance in the Netherlands. Many people know the term “Partner at the Big Four”, however what does that imply in your case, what are your responsibilities? Being a partner used to be different from what it is right now. It now requires that you are an entrepreneur, where your responsibility is to leave KPMG better than when you got there. Making the business of KPMG grow on the short-term, as well as on the long-term should be taken into account. Clients pay enormous sums of money to see an expert, so this is something that I try to occupy myself with: to ensure that clients are fully satisfied with our work. Next to this I manage my unit and I try to inspire the team to do their work with great energy and positivity. I think these are the key elements in my role and tasks. How do you create a good work-life balance? Define “good”. I interpret a good work-life balance as a combination of seeing my family and friends sufficiently and being involved of running a successful company. In the way I see it, this is really straightforward. You do not have to work 60 hours a week to be a partner. I think that Work-Life Balance is way easier in an organization like KPMG than in a company where everyone continuously watches over you and where you always work from 9 to 5 with the same tasks. In KPMG working is quite flexible. When my children have a performance in the afternoon, I can just plan to stay longer that night or on some other night. It is really easy to create my own “rhythm” as I deal with things more flexibly. This is of great help as you can spend time on the important matters. At the same time a good work-life balance requires commitment and it surely depends on communication. We often think that clients expect us to stand ready 24/7, however that is not the case. When you say to a client that you are not able to meet on a certain day and bring this to the table, it mostly is not a problem. Ourselves, we do often think that it is a problem, which puts us in an overdrive when that is not needed. This implies that you have to be strong and confident, or you will have to learn to be like this. It also depends on the approach your supervisor has. When your manager has the idea you have to work 24/7, two things might happen: 1) you don’t do it, pull out and exit the company, or 2) you do it, you think this is the norm and you impose this norm on other colleagues or people that you supervise. You need to be attentive to this as you yourself decide what you do or don’t do in the end. Finally, flexibility and communication are important traits when planning a good work-life balance. What is the most important thing you have learned in the multiple positions you fulfilled in your career? Be flexible, positive, communicate clearly, do not overreact, but solve problems, get involved and be in charge. The problem might be there, however you can be negative and passive, or positive and proactively tackling the problems and searching solutions. When you take initiative to do that, you are a dozen times more efficient and others will notice, which creates goodwill. Also learn to be neat/smart/tactical in saying no. Never start a conversation with a no. Be neutral in the beginning even though it may turn out in a no, but never start a conversation in that manner, as that works often counterproductive. What kind of advice would you like to give to students who have the ambition to be a partner? Becoming partner should not be an end in itself. Growing and learning new things over and over, that has always been my goal and that is the reason I became partner. I always thought there were smarter people around me. During my studies at the UVA they said: look around, 1 in 10 will become partner and Registered Accountant (RA). That means the other nine will not. That’s why I thought I probably would not. You become a little unsure when that’s being said. Loads of people will drop out during your career and without noticing, you are that one person left. So that is quite funny. All in all, my goal was growing as a person and by focusing on that I became partner. What I find important adding here is: first you need to take care of yourself, become a professional, then you are supervising your team, and finally there will be a moment that new engagements need to be arranged and you are responsible for it. This creates dispersion with how you entered the company. That can be the reason why many people leave, as they can no longer execute their initial specialization/expertise, as they are mostly involved in supervising teams and that is often not what they want. Do you have any more advice for the current accountancy and finance students? You have smart people and intelligent people. You need intelligent people, but smart people will end up the highest. This is the way I rationalize and this is also how I came where I stand right now. You do not have to know everything, as long as you gather better or more intelligent people around you. Help each other, grow together and achieve goals collectively; this will lift the business to a higher level. Furthermore, to improve you need to make a lot of mistakes. Keep searching for new challenges and enjoy what you do. It is of tremendous importance to enjoy your work, as you will need to continue doing it for a long time. Keep testing if you still like what you do, year by year. This is how you stay energetic. Keep asking that question to yourself, so that you can give direction to your career. It prevents you from considering if you like what you do or not, years later. A trend right now is that young people want to further their careers very rapidly. Nevertheless, my advice is: make sure you become great in the thing you do and when you do this, the career will follow. Become unique by exploring and deepening out a certain skill, which makes you valuable to the company. Additionally make sure the client understands you, in order to respond to the client adequately and make them satisfied with you.